There are two SAS controller card options for the Sun SPARC Enterprise T5140 and T5240 servers (both options support RAID). The standard option uses the on-board SAS controller card preinstalled on every server. The second option is a StorageTek SAS RAID Internal Host Bus Adapter (HBA) PCIe card. 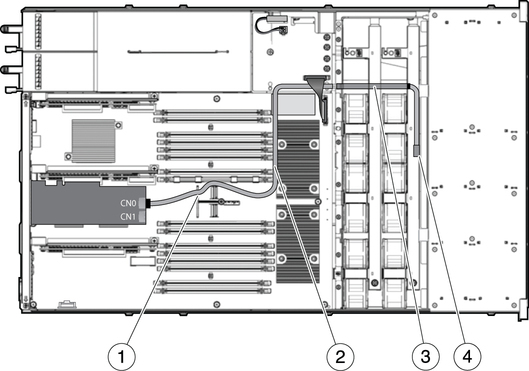 The internal cabling of your server will be different depending on the SAS controller card option you choose.